Last week the second edition of the intriguing VELV concept car was wheeled out blinking into the light. 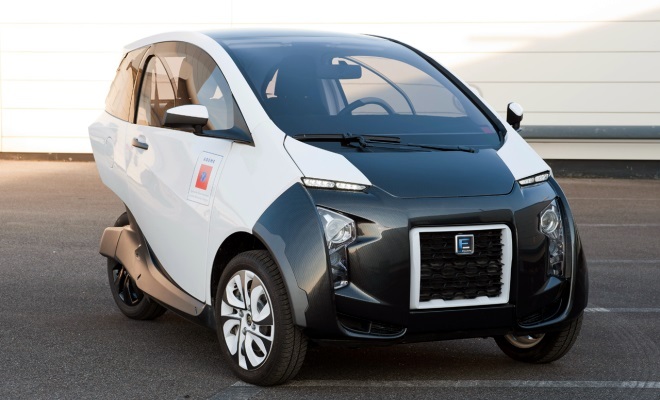 VELV is an electrically powered urban mobility pod vaguely in the mould of the Renault Twizy, but it hails from the other big French motoring concern – PSA, the parent company of both Peugeot and Citroën. VELV stands for Véhicule Électrique Léger de Ville, or lightweight electric city vehicle. And indeed I might write VELV out as VéLV. If I were French, which I’m not. The first VELV concept (above), unveiled in 2011, was almost wilfully obtuse. The upper section of each side door swung up and over in gullwing fashion, while the lower door-halves opened outwards normally. There were four wheels, but arranged in a tricycle layout, with the twin rear wheels squeezed tightly together. The bodywork followed this triangular template: broad at the front, tapering at the back. But inside, contrary French designers had squashed two passenger seats into the rear, leaving the centrally placed driver with enough elbow room to swing an accordion. By contrast, VELV 2 is barely odd enough to deserve a second blink. The doors are now entirely conventional front-hinged items, incorporating sliding side glass rather than wind-up windows. The three seats have been bolted where they most sensibly belong, two abreast at the front. And while the four-wheeled tricycle layout remains, there is at least some sort of rationale at work. A pair of wheels mounted on an axle less than 46cm wide counts as a single wheel in the eyes of European law, meaning the VELV would be legally classed as a motor tricycle rather than a car if it were put on sale. 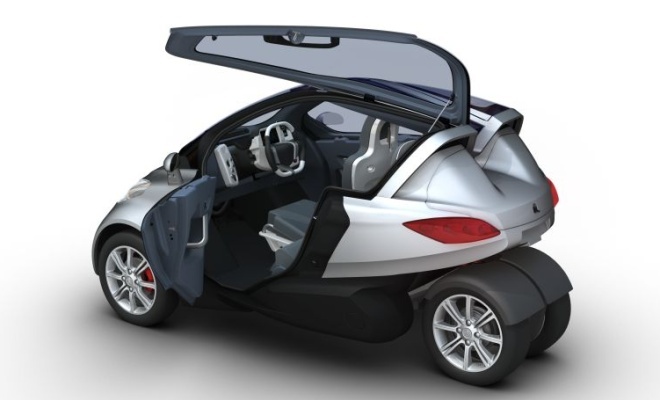 This classification would allow the VELV to be both heavier and faster than a quadricycle like the Twizy, while remaining exempt from the full panoply of safety hurdles that a proper car must clear. However, PSA’s precise logic for its three-wheeled approach escapes me, given that it says the VELV is tough enough to pass passenger-car crash test regulations. Perhaps it is hoping to slip the VELV into the odd bus lane. 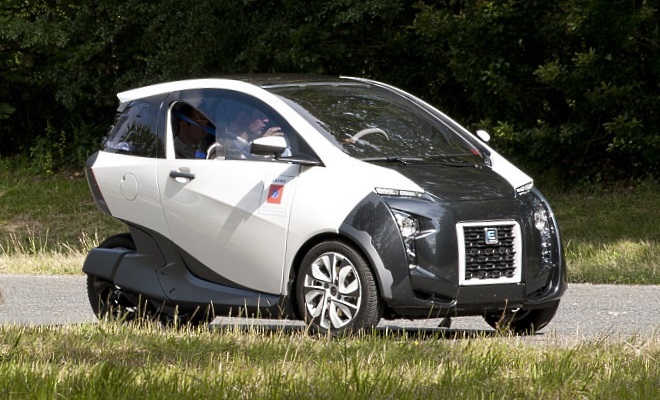 Under its plastic skin and aluminium skeleton, the 2.8-metre-long VELV houses an 8.5kWh battery mounted flat and low. It feeds a single electric motor rated at 20kW for sustained output and 30kW for acceleration. 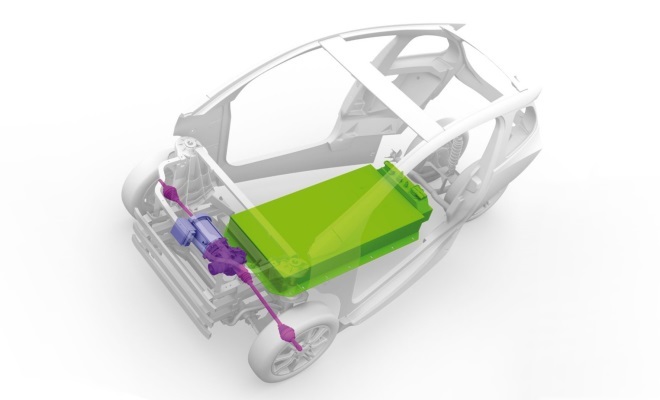 The hub-mounted rear motors of the first VELV concept have been replaced with a front-wheel-drive arrangement. Range is quoted as 100km (62 miles), helped by a lowish sub-700kg weight, while full pelt will be about 110km/h (68mph). Recharging times haven’t been revealed but a domestic UK plug ought to do the job in less than three hours from flat. Production plans, if any, remain to be revealed. 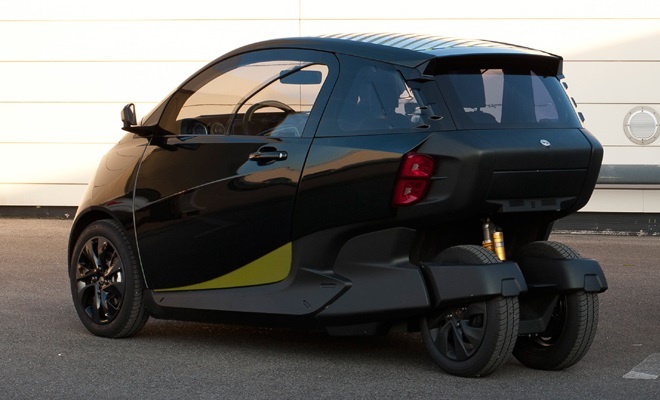 If it weren’t for the presence of the Renault Twizy on real roads, I’d categorise the VELV as just another quirky concept destined for the dustbin of unlikely designs. 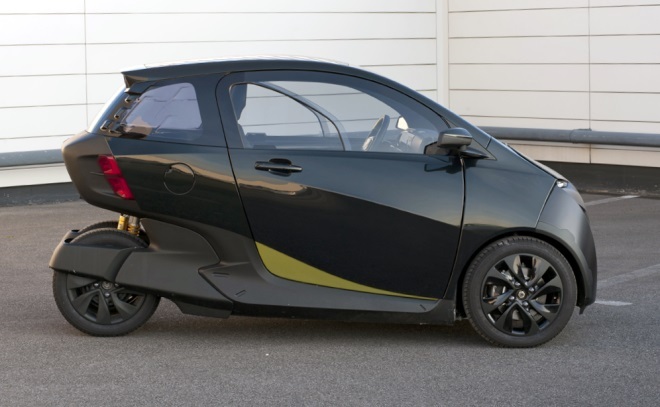 But the Twizy is selling, so a VELV you might actually buy seems a lot more likely.